Angel's Retreat - Walk to Lake and The Village! WiFi, and Cozy Fireplace! Angel's Retreat - Two bedrooms, two baths, large deck with hot tub and charcoal barbecue, wood burning fireplace, Smart TV (no cable), Netflix, DVD player, FREE WiFi, and washer/dryer. Fitted with all the conveniences of home, Angel's Retreat has a full kitchen with stove/oven, refrigerator, dishwasher, microwave, blender, toaster, coffee maker, dishes, pots/pans, and more. Master Bedroom - queen bed, private bath. Living Room - two futon beds. Angel's Retreat comes with fresh towels, and beds are made up with fresh linens and plenty of cozy blankets. Our dedicated cleaning crew has the cabin clean and ready before your visit and does the cleaning after your stay. Great place to stay! Will stay again! From the booking to checking-in to arriving at the cabin was so easy and simple. Great place to stay and so close to everything. Place was clean with heaters! I will definitely stay here again. It was a great place. Some small repairs could be obliged(blinds in master bathroom, faucet handles in common bathroom) but all in all I really enjoyed my stay. We got a great amount of snow on Christmas and the driveway way plowed by 1pm the same day! I would stay here again. For it being my first experience at big bear and to stay in a cabin i wasn't to thrilled about it there was things on the property that needed attention and when brought to there attention that night neither that night or next day did they make any effort to come out and do something about it. The next day the person who rented out the cabin to us was nice enough to let us stay a few hours more after check out time I can really say she was nice from the beginning process of the rental unfortunately she was off work when we showed up to the cabin. But not to happy about the way things were on the property especially my wife having to sweep the back porch area so we didn't track any trash inside the home. I have received your review and private feedback for your recent stay at Angel's Retreat. I wanted to reach out to you and thank you for such a detailed account of items for us to improve upon. There should have been the needed amount of amenities provided for your stay and I apologize for our lack of follow through to correct these issues once contacted and given the chance to do so. I truly apologize for these issues and hope you will return to Cool Cabins for many more vacations with the promise that we will provide better service to you in the future and correct the mistakes we had made previously. Again, I am very sorry for the oversight on the part of our team and we hope to have you back soon. Please contact me if you have any questions. Have a great day! Our place was perfect! We were close to town and skiing, and it was spotlessly clean. Thank you! Hi Sara, Thank you for your time and feedback. We're so happy that this cabin was everything you needed for a relaxing and enjoyable weekend. We hope you'll return to Big Bear and Cool Cabins for many vacations to come! Pictures do it no justice - Big, Cozy, Hot tub! At 10PM on the 5th of January 2017 I still hadn't found a suitable cabin and I was planning the trip for the 6th of January. I tried a few different websites and apps but nothing I liked was available or there were 2 night minimum stays with abysmal cleaning and other fees. 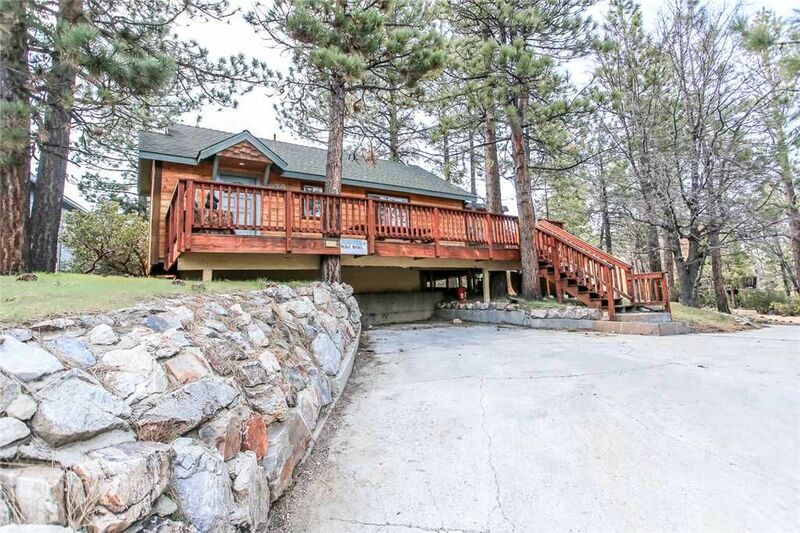 I decided to call Big Bear Cool Cabins and speak to an actual person to find me the right Cabin, and I had this one booked within 10 minutes on the phone. If you're looking at Angels Retreat Cabin, look no further. It's right where you want to be as far as location, and the pictures do it no justice. It is very clean and cozy inside, and a lot roomier than I assumed it would be from the photos. Lots of Amenities (More so than I have at home) and the Hot Tob was the icing on the cake. I Spent about 2 hours in there, despite the 15 minute warning, and I'm still alive. GREAT experience, great company, great Cabin.